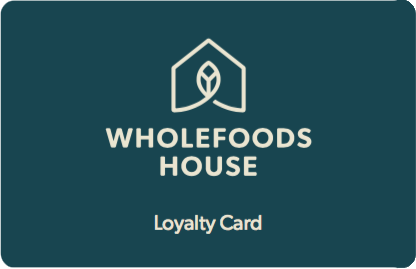 Wholefoods House is a great one-stop shop for the whole family– the wonderful organic produce makes it the perfect local store for everything we need. I purchase all of my produce from Eliot Rickards of Wholefoods House. He is a passionate advocate of the sustainable food movement, and cares so much. For me, the staff as well as the produce at Wholefoods House reflect abundance, variety, integrity & freshness. I simply cannot live without it. Thank you so much for the remarkable contribution you have made to my daily enjoyment of good food.